Milky Chance releases a new edition of their celebrated debut album ‘Sadnecessary’ on October 31st alongside their new single ‘Flashed Junk Mind’. 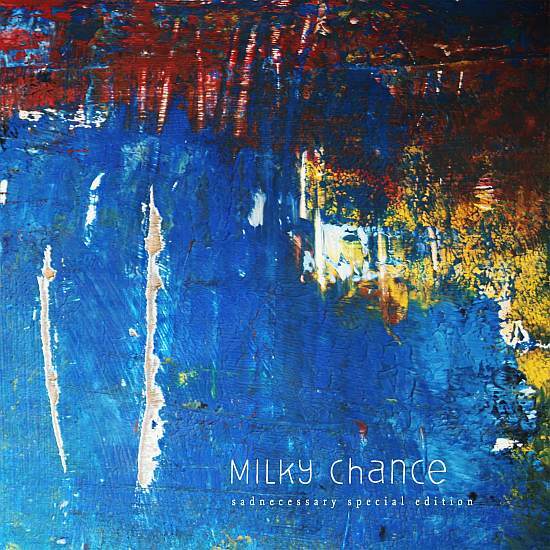 Milky Chance releases a new edition of their celebrated debut album ‘Sadnecessary’ on their self-made label Lichtdicht Records via distributor [PIAS] Germany. It will be available in German, Austrian and Swiss stores on October 31st. The reissue will include several unreleased live tracks as well as exclusive live footage taken from the last year. Footage includes a 70 minute film shot of their concerts at the legendary Koko in London and the historic Citadel of Spandau, Berlin. It also includes short backstage material and a 12 page booklet filled with photos from Clemens’ and Philipp’s private archive documenting all aspects of their life within the band. The new edition of ‘Sadnecessary’, that will be released digitally and on CD+DVD is a kind „thank you gift“ to German, Austrian and Swiss fans and intends to put an end to their wait for new tracks.